In a recent post, I talked about making friends as an adult. This week, I’m going to chat about making blogger friends. The first time you write a post and hit the ‘publish’ button is a scary thing, but finding other bloggers to support, who will in turn support you, is great because it makes you feel as though someone is reading what you’ve written and enjoying it. Collaboration and mutual appreciation is good for everyone and it’s something that I am learning more about as I spend time on this new blog. Find other bloggers in the same ‘place’ as you. This doesn’t mean geographical location—although I’ll get to that—it means the same moment in time. In my experience, ‘big name’ bloggers, although inspiring, are less likely to be in a place to help you—they’re madly busy and getting loads of similar requests. Bloggers at a similar place in their blogging life are a great source of support. Having shared problems and concerns as well as successes means that there’s always someone who understands why you’re tempted to throw your laptop out of the window because you don’t understand how to install a particular plug-in. If you find a blogger who you seem to get along well with, be brave and get in touch. You never know what friendships might emerge. I love it when people get in touch with me! Linkys, linkups or ‘linky parties’ are something I’ve only recently started to join, and I’m really enjoying them. They’re basically a way of sharing posts and therefore links–usually on one particular subject or theme— from the host blogger back to your own blog and vice versa. You add your linked post to the host site, take the coding for their badge–as a way of both advertising that you’re taking part and creating a link back to the host—and leave a comment on the host’s site too. I really enjoy ‘How Does Your Garden Grow’ hosted by the inspiring and incredibly kind Annie at Mammasaurus. As well as creating those links for search purposes, the real joy in these is in finding new blogs to read and comment on, who will in turn find your blog too. It’s helping you all to develop a sense of community and conversation in a positive way. And in the case of HDYGG, learn more about gardening too! If you’re interested in hosting your own ‘linky’ there are a couple of places you can sign up to. The most popular ones seem to be Inlinkz and Linkytools. I’ve not used either of these as a host yet, but maybe I should turn Three Good Things into a linky and give it a go! There are lots of challenges out there, all of which might give you the opportunity to both test yourself and build your audience and community. Last November, I took part in Elizabeth from Rosalilium’s ‘Blog Every Day in November‘ challenge. Even though I didn’t quite manage every day, it was lots of fun, took me out of my comfort zone because I wrote posts according to the daily prompts, and helped me to find other blogs to follow and vice versa. There’s another month-long challenge happening in May—why not give it a go? Look for local events and meet ups. Along with the bigger blogging conferences, (which I still haven’t managed to get to, because I’m feeble and intimidated!) there are so many smaller meet ups and events happening all over the place. In Leeds, my home town, there’s something of interest happening all the time. All it takes for you to pluck up the courage to attend the ones you think you will enjoy. I speak from experience when I say that the worst thing that can happen is that you’ll be on your own, completely out of your depth and fleeing for an early bus home. Which at the time feels like the absolute end of the earth, but, once you get past that, will make you realise how brave you’ve been! Keep an eye out on Twitter and Eventbrite to see what’s happening close to where you live. In January I did Elizabeth at Rosalilium’s Big Blogging Bootcamp course, which has increased my confidence, taught me lots more about blogging and different ways to build my blog and connect with people. If you’re quite new to blogging or looking to refresh your site, renew your enthusiasm and meet new blogging folk, it’s a good thing to try. Look for people with similar interests. Inevitably where there are people, there are cliques. It can be intimidating, even ‘virtually’, to join in a conversation for the first time when it seems as though everyone has known each other for ages. What I’ve found to be a useful way to overcome that barrier is to find a subject you share an interest in; it gives you a bit more confidence to join in, especially if it’s something you feel experienced in. I hope that this list has given any new bloggers out there some useful ideas—is there anything you’d add to it? 31 Responses to How to find your blogging tribe. Love this post – so helpful – and yes please Three Good things as a linky would be fab. I was sat there last night drooling over your photo of cake thinking that it would be a smashing linky – I would do it, totally trying to focus on the good at the moment. What a lovely post! I’m going to share it on the Blognix twitter. I think you’ve hit the nail on the head with the idea about cliques and ‘bigger bloggers’. It’s more of a case of finding your blogging soulmates, the ones who will help you out and vice versa – it’s totally what makes the blogosphere so rad. Also, are you coming to Blognix? If you’re anxious about coming to blogging events, it’s a really great start. As an introvert myself who gets terribly nervous at events like this, I’ve created an event aimed to be for people like us. Elizabeth @ Rosalilium recently posted…Using the new Cricut Explore Machine – it’s rad. Love this post! 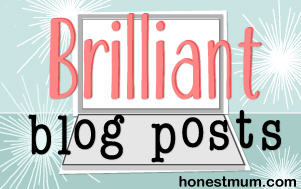 One of my favourite things about blogging has been all of the lovely and amazing people it has enabled me to meet – blog shaped friends are awesome! Thanks for a great article. As a new blogger, I will definitely take your advice and run with it. Have a happy and healthy weekend! Ah yes, the same sense of humour is definitely a key to finding your tribe! This is a lovely, very clear and helpful post. It’s so important to build your ‘tribe’ as a blogger, especially nowadays when there are so many blogs out there and it’s easy to feel lost. For me, offline networking really helped connect with the ladies I feel are my true homegirls as well as bloggers and biz partners. I think also even after you’ve found that ‘tribe’ remember to stay open and friendly to other circles and new bloggers as we all could do with a mate in cyberspace! Uju @Babesabouttown recently posted…We’re going to Camp Bestival 2014! i’m so glad you’ve got your tribe! It’s a great feeling to find your supportive community, isn’t it? Couldn’t agree more about Linkys – have met some fabulous people through commenting on blogs. A ‘Three Good Things’ linky sounds like an amazing idea! Go for it!! A great post which has encouraged me to keep trying with my blog. I love writing, but am struggling a bit with the actual ‘being a blogger’ side of things as everyone seems to know everyone and comments on each others pieces. A great idea to try and source bloggers not only in your niche of writing, but at the same stages in the blogging process – hadn’t thought of that, and will certainly be giving it a whirl with renewed vigour tomorrow! Nice post. My main advice would just be to start talking. Eventually someone will reply, in fact any blogger not of already super star status and that wants to grow their readership will reply. You quickly spot the regular commenters and if they happen to be bloggers as well (which most are I find) then you are likely to check out their blog or be more receptive to an email. That’s so true – I find lots of the people talking are bloggers too and that you can build a community that way.